Members of Sidcup (DA 14) and surrounding communities we are here to provide you with the best rug cleaning, upholstery cleaning and carpet cleaning in Bexley, South East London. Magic London Carpet cleaning in Sidcup (DA 14) is the solution to for all your carpet cleaning woes. With the use of the best and latest equipment, techniques and machines you are ensured fast, efficient and friendly service. We aim to please and so our staff ensures that the job is done well at the first go. If you carpet cleaning needs are residential or commercial we are well equipped to handle them even if they are difficult, big or small. We take pride in our work and guarantee that you will not be disappointed when the work is completed. 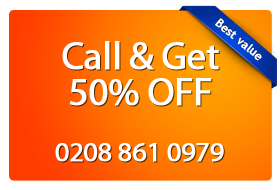 Call Magic London Carpet cleaning Sidcup (SE9, DA14, DA15) today, your number one stop for carpet cleaning.